The HRD ministry has made Aadhaar mandatory for a number of entrance exams like entrance exam for MBBS (Bachelors of Medicine and Bachelor of Surgery), i.e., NEET, BDS (Bachelors of Dental Surgery), UPSEE (Uttar Pradesh State Entrance Exam), JEE (Main), JEE (Advanced). The CBSE has even mentioned why producing the Aadhaar card is important. National Testing Agency (JEE Main Examination Conducting Body) declared that “the Aadhaar number is only one of the types of identification and is not mandatory“. This step was taken with the view of reducing malpractice and impersonation in the examination hall. 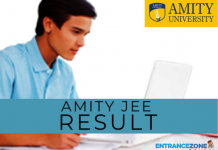 While filling the JEE application, a student needs to fill the details that he or she has filled while filling up the Aadhaar enrollment number. 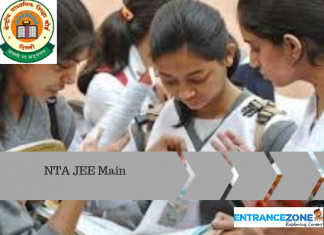 It is also important to note that the information that a student is providing in the JEE application form should also match with the information in his or her Aadhaar card. Secondly, a student just needs to show his or her Aadhaar card as an identity proof. The Aadhaar card is the one and the only document which a student needs to produce and no other documents are necessary. Moreover, it will also be convenient for the examiner to identify the student. Where to Apply for an Aadhaar Card? In case a student does not have an Aadhaar card, he/she will have to apply at an enrollment centre. For this, the CBSE has opened a number of facilitation centres to help students in Aadhaar enrollment. Such facilitation centres do not charge any amount from the students. Their services are absolutely free of cost. You can find the nearest facilitation centre by visiting the official website of Aadhaar. 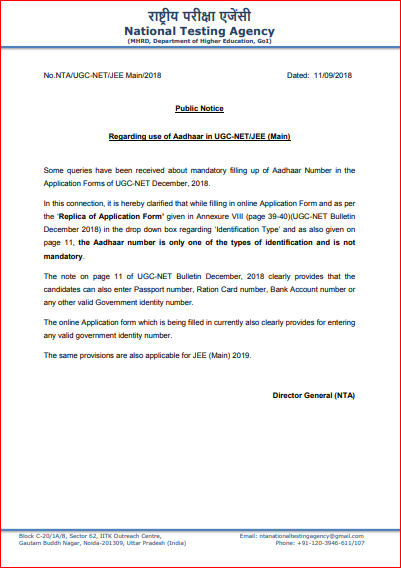 In case a student has enrolled for an Aadhaar card but did not receive his or her Aadhaar card, then, he or she needs to fill in the 28-digit Aadhaar enrollment number. The enrollment number comprises of the 14-digit enrollment id and the 14 digits of date and time when taken together. 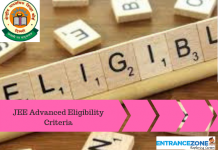 If a candidate has recently submitted to update Aadhaar details then such a student needs to fill in the 14-digit Aadhaar enrollment number provided in the acknowledgement slip which a person gets after successfully applying for Aadhaar updates. The candidate has mismatched the information. This means that a candidate must provide the same information as provided in the Aadhaar card. In the case of any mistake in the data like the name is misspelt or Date of Birth is wrongly mentioned then the student must submit a correction request in the Aadhaar centre. After submitting for correction an acknowledgement slip will be provided which will contain your 14-digit enrollment number. A student while applying for JEE (Main) should fill in this enrollment number along with the slash. In case a student is from outside India (NRI / PIO / OCI), then he or she can apply using his or her passport details. 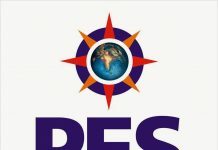 In the case of students who have passed their class 12 from Meghalaya, Assam or Jammu and Kashmir and who also have their Aadhaar card can choose their examination centre anywhere in India. However, if they do not have any Aadhaar card then they show any government ID (like voter’s ID, passport details, ration card etc.). This provision is only applicable if a student writes their JEE exam in any of these states and not in any other states. In the case of the father’s name or mother’s name, the candidate should fill their details in accordance with their school records. 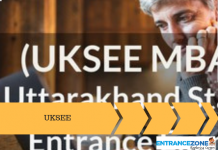 Stay tuned with EntranceZone for latest updates and news related to JEE (Main) April Application Form.